I lied. I promised an amazing morning recipe early this week and somehow I’m sitting here Thursday morning finally making it happen. My internet’s been down, so I’m sitting at the coffee shop right down the street where I used to camp out before I had internet in the first place. It’s kind of a nice change of scenery and pace from my living room (obviously). They make better coffee, there’s buzz, there’s bits of the paper strewn about, and pieces of conversation to eavesdrop in on. And this morning, there seems to be a steady stream of Phil Collins. Not sure what to say about that. But I am sure what to say about breakfast these days. Since I’ve been commuting to Marin, I don’t have much time to have my typical breakfast of yogurt, granola, and honey. I can barely seem to get coffee and milk in my travel mug and get out the door on time. So I’ve started planning ahead a little with things I can grab and take with me. Homemade granola bars? Check. Bananas and those nice little pouches of peanut butter? Check. A damn fine English muffin. Check. My mom actually says these are the best thing I’ve ever made. She doesn’t make those proclamations lightly. She made breakfast for her best friend Carol yesterday and toasted them with butter and fruity jam. And she’s already put in a request that I make a batch around the holidays so we have some around the house. I brought a bag to my “man friend”, Creg, and a few to some coworkers. The reaction’s always kind of funny: What?! You made your own English muffins? I didn’t know people did that. Well I’m here to report back that they do, and they’re shockingly simple, so you should too. This was actually the first time that I’ve worked with yeast (I tend to be a quick-bread kind of gal), and I was (and still am) taken aback with how a simple ball of dough transforms itself into light and slightly chewy little disks with the requisite nooks and crannies. So cool. I wrote about the recipe and a great cafe in San Francisco that makes their own English muffins on Bay Area Bites this week, so if you’re interested in reading even more on the topic, feel free to head over there. Otherwise, here’s your ticket to brighter mornings. 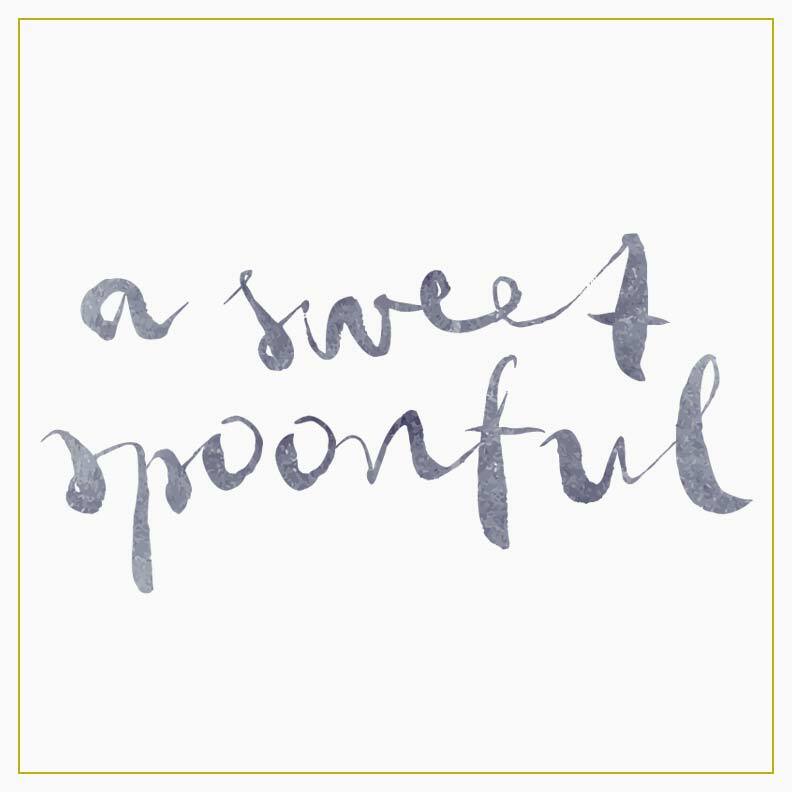 In the bowl of a stand mixer fitted with the paddle attachment, combine the flour, sugar, salt and yeast. Mix in the butter (or shortening) and 3/4 cup of milk (or buttermilk). 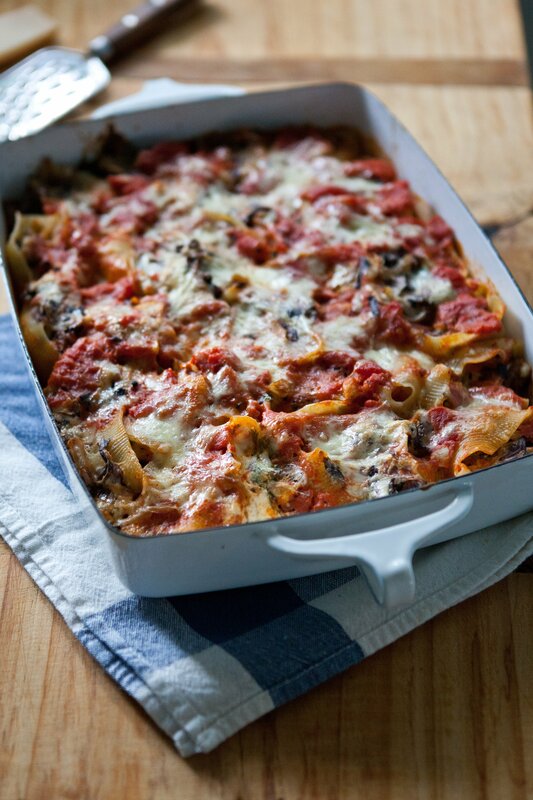 If the dry ingredients are not yet fully incorporated, add enough of the remaining milk so a dough forms. Stop mixing right when this occurs: don’t over mix! Sprinkle flour on a dry surface and turn the dough out of the mixer, and knead by hand for about 9-10 minutes. The dough should be tacky (but not sticky), and register 77 to 81 F. Transfer to a lightly oiled bowl and roll the ball of dough around the bowl to coat. Cover with plastic wrap and let rise for at least an hour, or until the dough doubles in size. 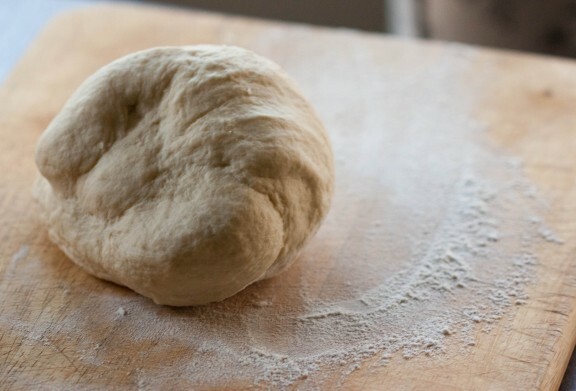 It helps to keep the dough (in terms of rising) in a relatively warm place–away from cold, drafty windows or open doors. Divide the dough into 6 equal pieces and shape into small balls. Lay parchment paper on a baking sheet and spray lightly with oil. Sprinkle with cornmeal. Move the dough balls to the baking sheet, spacing them evenly with enough room to rise and double in size. Mist them lightly with oil and sprinkle with cornmeal then cover the pan loosely with plastic wrap and allow to rise another hour, or until the rolls are nearly double in size. Preheat the oven to 350 F. Heat a flat griddle to medium (350 F) (you can also use a skillet on the stove top if you don’t have a griddle). Brush the griddle lightly with oil and gently transfer the dough balls to the griddle. Allow them to cook for 5-8 minutes or until the bottoms are a rich golden brown color. Be careful not to burn. Carefully flip and cook the other side for the same amount of time. They should flatten as they cook. Remove the muffins from the skillet and transfer them to a parchment or Silpat-lined baking sheet. Bake in the preheated oven for 6-8 minutes.Transfer the baked muffins to a cooling rack and let cool at least 30 minutes before slicing or serving. Goodness, even with your first attempt at yeast you still pull it off better than I do! These look gorgeous - they've been lingering on my long list of things to make from BBA and you've inspired me to go ahead and make them this weekend. But more importantly...girl, get on the yeast bread wagon! I'm telling you, once you start, you will never buy bread again. Try my challah sometime - it's unbelievably easy and addictive. Yeast dough gets a really bad rap for difficulty for some reason, but if you are a reasonably adept baker (i.e. you are good about observing reasonably exact measurements) there's nothing to it. Megan, I swear we are on the same wavelength! I have been posting breakfast recipes all week and am currently obsessed with bread-baking at home. Working my way through Jim Lahey's My bread. 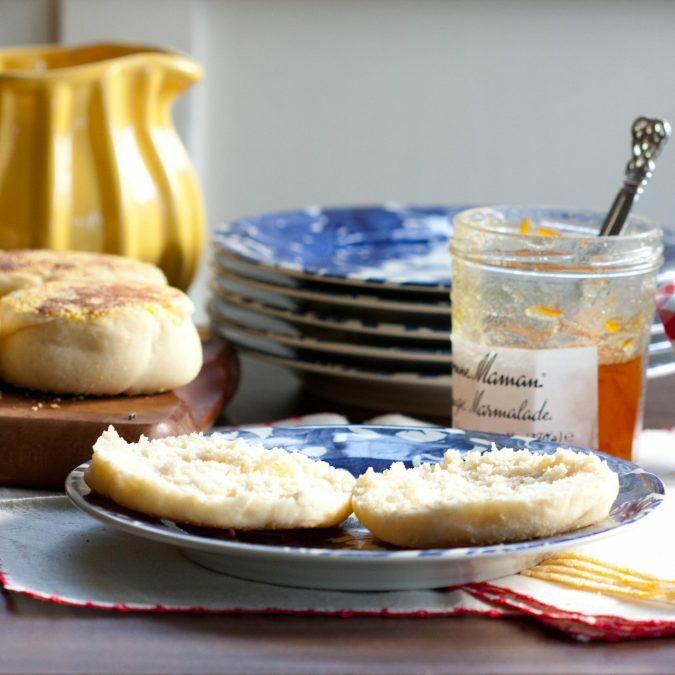 Must try these English muffins! All I can say is that I am bloody impressed! You rock Megan! Bria-Consider me converted. Seriously. Church of bread baking, here I come. I plan on stealing my mom's copy of Jim Lahey's book and trying out one of his recipes. Or his pizza dough which looks pretty amazing. And Kasey, yes, I've seen some good stuff on your site lately! Ummm, bruleed oatmeal?! Hello. I think there's something about spring and fresh starts and breakfast that go hand in hand. Mangy and Mardi: thank you! Gorgeous photos! I have never made my own English Muffins, but I should after looking at these. Love that marmalade on the top photo. The Phil Collins, not so sure about that either. It is surprising that I never even considered baking my own English Muffins. I don't have a stand mixer w/ paddle attachment or griddle, but I think I can still swing these. Fun! Thank you. Ah-mazing! The first photo put a smile on my face, which only got wider as I read your post. 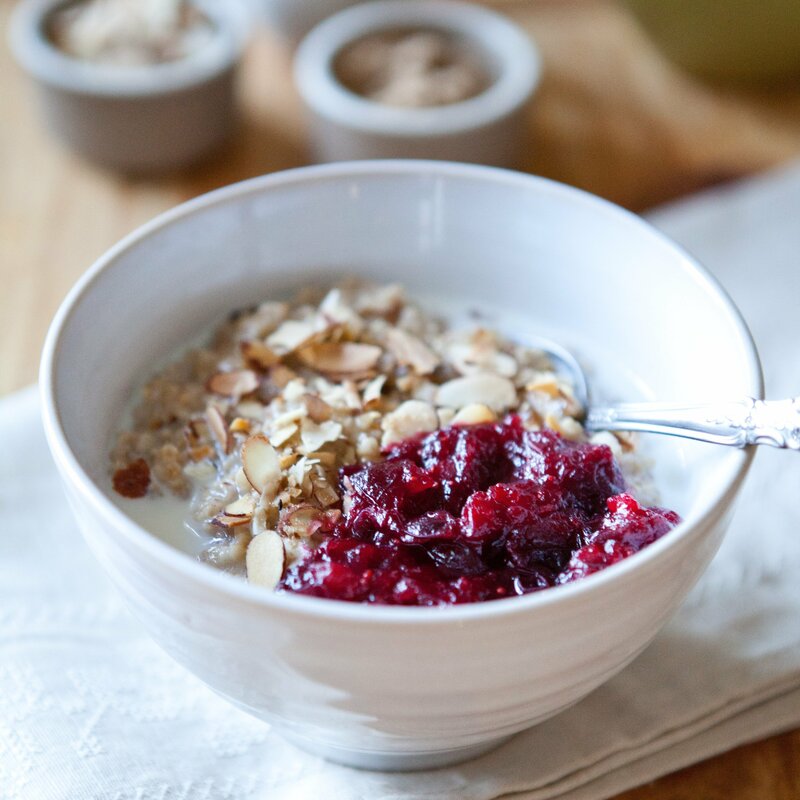 I'm a yogurt, granola, and honey breakfast fan myself but I am easily convinced to change my ways with this treat. 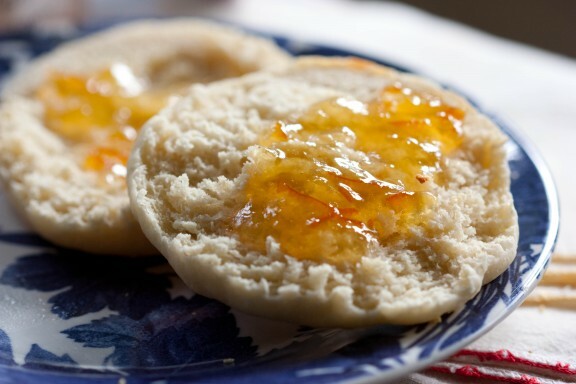 Thank you for sharing the link to the recipe - I see brighter English muffin mornings in the future! I really want to give these a try too! I've heard they are simple and I know they'd be so much nicer than supermarket ones! Oh wow - these look terrific! I can't wait to check out your recipe for homemade granola bars, too! Wow these look delicious - my breakfast would take ages if it involved eating these as they look very addictive! Beautiful and delicious, what more could you want? Wow, the homemade english muffins looks amazing! So good with Bonne Maman jam! I made them. And I ate them...Almost as soon as they came out of the oven. They are SSSSOOO good! Everything an English muffin has in flavour plus that yummy homemade taste. So good! I'm glad that I found this recipe. My husband took one bite and shouted with glee. Literally...Shouted. Yay, Steph! So glad you liked them (not much not to like, huh?) I had my first bite late at night, too--just as good. Thanks for stopping by! 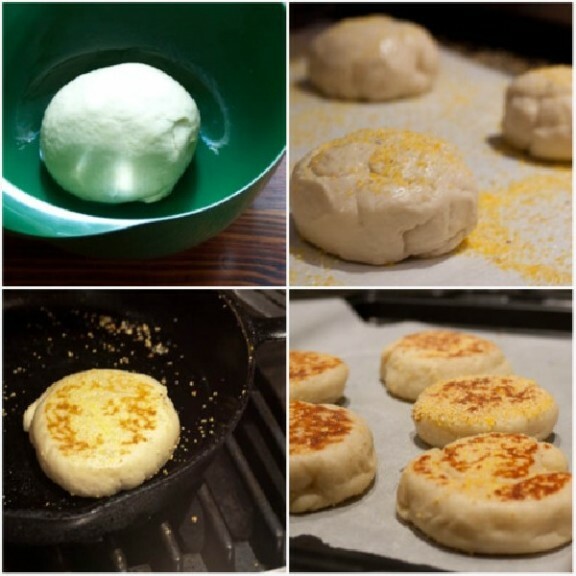 I had been thinking about homemade English muffins all last week after I bought some from the Pop-Up General Store in Oakland - best ones I've ever ate. Never thought I could actually make them myself until you posted this recipe. Making them now. Thank you! I've been looking for a recommended recipe for English muffins for a couple of weeks now. A lot of my culinarily inclined friends haven't had much luck with them. Thank you! You totally made my afternoon! Glad to hear it, Dana. Thanks for stopping by. And Danielle, loved meeting you as well--definitely one of my favorite aspects of blogging. You should definitely come down to Heath. I think you'd really love it! I had been wanting to make homemade english muffins for a long time. Your post gave me the last nudge I needed. These are amazing, I have made them four times in the last two weeks. I'm hoping to make eggs benedict soon. These are making my stomach growl at 5:00pm on a Tuesday. I'm going to make these this weekend. I have to!